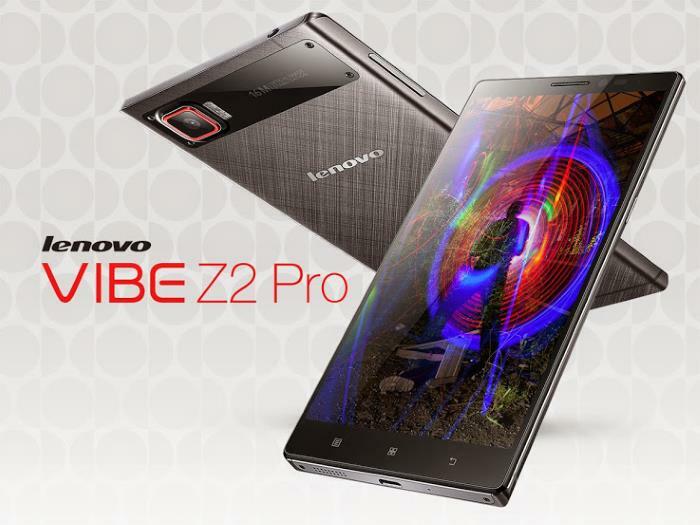 Lenovo has finally announced the long-rumored Lenovo Vibe Z2 Pro. The handset comes with top of the line specifications on board, with a design similar to what we’ve seen in leaked images. The handset comes with a 6-inch IPS display sporting a resolution of 2560 x 1440 pixels resolution with 490ppi pixel density, and is powered by a quad-core Qualcomm Snapdragon 801 chipset clocked at 2.5GHz with Adreno 330 GPU and 3GB of RAM. The smartphone measure 156 x 81.3 х 7.7mm, and weighs only 179 grams, featuring a metallic design. There’s a 4,000 mAh battery inside to make sure there’s enough juice for the humongous handset. On the rear, it features 16MP camera with optical image stabilization and 4K video recording capabilities on board. Other features include WiFi, Bluetooth, dual-SIM support (GSM + LTE), 32GB of non-expandable storage, and runs Android 4.4 Kitkat with Lenovo’s own Vibe UI 2.0 on top of it. Lenovo Vibe Z2 Pro will hit retail in three color options: black, gold and white. As for its launch, the Lenovo Vibe Z2 Pro is expected to launch next month. In Russia, the device is priced at 29,990 rubles (almost $830) which appears to be a little high. However, the pricing could be different in other regions. We’ll update you as soon as we get any update about its launch in other international markets.